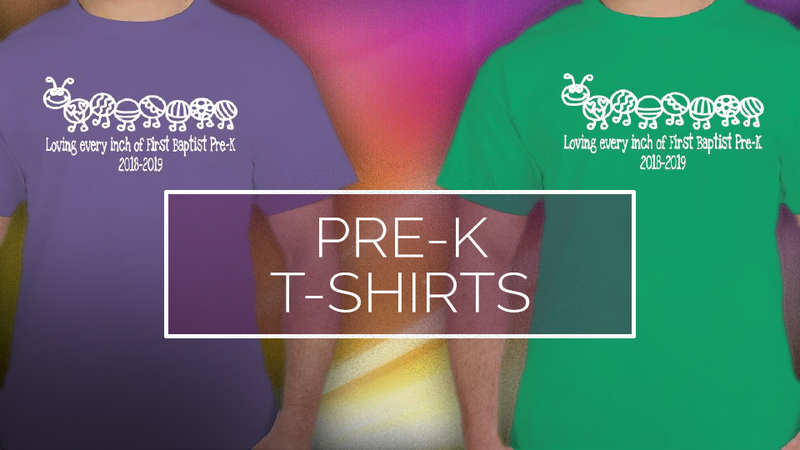 Help support our Pre-K program here at FBC! Purchase a T-shirt and 50% of the proceeds go towards our program! Please place your order for your T-shirt between now and September 24th. You will need to pay when you order. Checks should be made out to FBC Pre-K. The shirts are $16 for children/youth sizes (youth XS-XL) and $20 for adult sizes (S - 3X). The shirts are Gildan Soft-Style, unisex, preshrunk cotton with a 65/35 poly-cotton blend. Choose from “Heather” Irish Green or “Heather” Purple. Please contact Kristal Turpin or Kellie Stockman if you would like to purchase a T-shirt! We appreciate your love and support of our Pre-K!